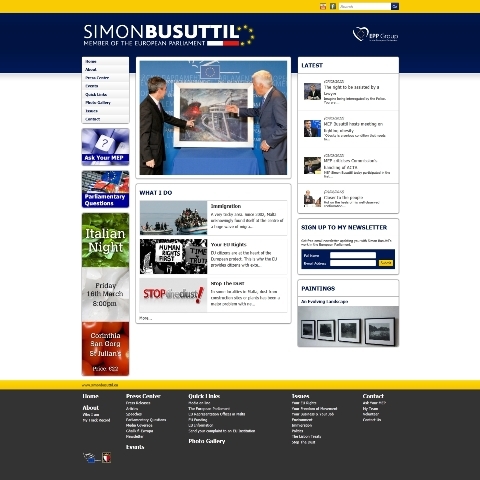 The website highlights the work of MEP Dr Simon Busuttil, who once again entrusted Abakus Labs with the development of his office's main connection with his constituency. The site gather's all the articles, speeches, parliamentary questions and audio-visual material that is published by the MEP's office. The site also features popular social media widgets like Facebook, thanks to which visitors can not just share or follow, but also comment on issues of interest being discussed on a European or National level.